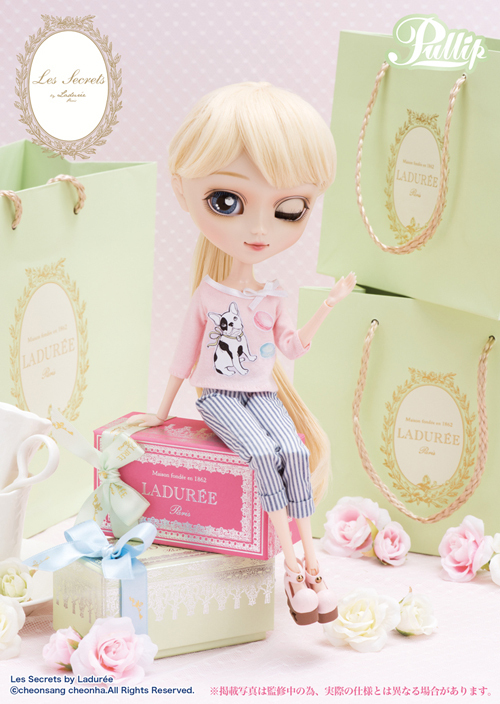 Pullip Les Secrets by Ladurée was released as a part of a collaboration with the world famous bakery Ladurée which opened in France in 1862. 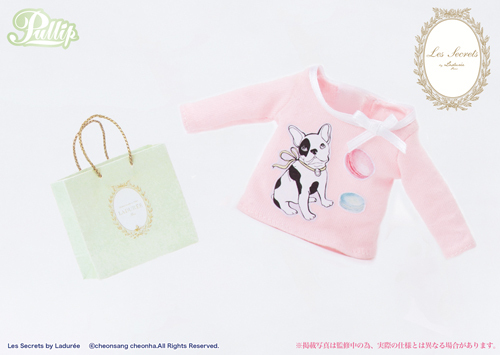 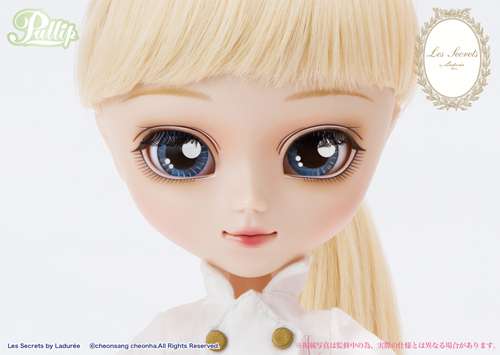 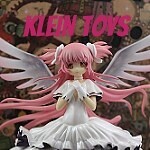 The Pullip was released in November of 2018 alongside the Memorial Version of Taeyang hide. 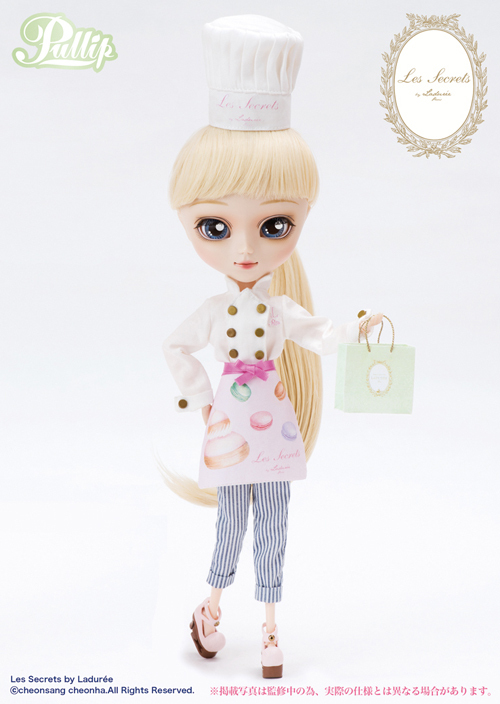 Wig: Blond wig tied back into a ponytail. 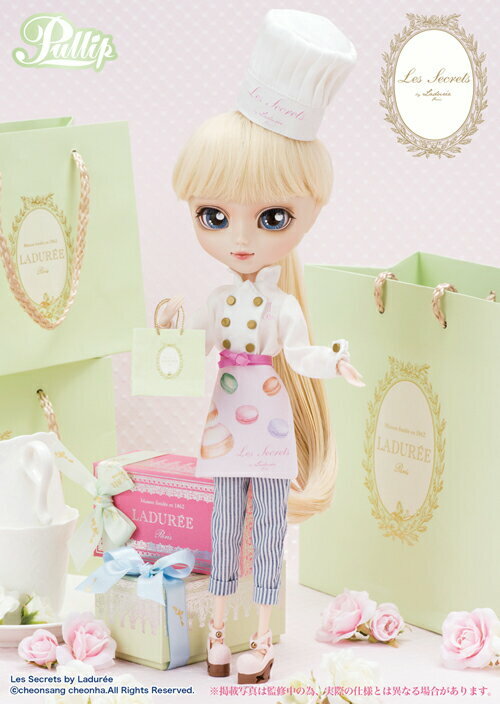 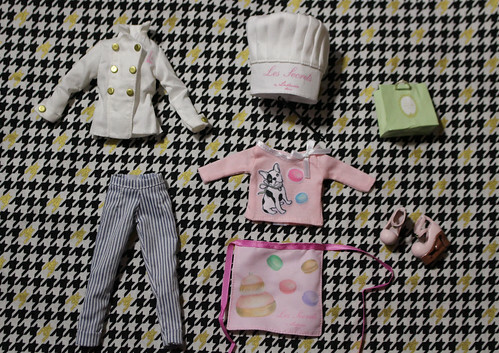 Stock: Les Secrets by Ladurée’s stock outfit consists of a chef’s hat, chef’s coat, pants, shoes, shirt, apron, bag and shoes.